A North Carolina environmental group that tried to challenge the state’s utility monopoly by installing solar panels on the roof of a predominantly African-American church and selling the church cheap, clean power has lost its appeal to the state’s highest court. Advocates say they are disappointed in the ruling, but they aren’t giving up the fight to lift restrictions on clean energy. “We are pleased with the swift decision by the N.C. Supreme Court,” said Randy Wheeless, a spokesman for Duke Energy, one of the nation’s largest utilities, which serves much of the state. The speed of the ruling was notable, coming just a few weeks after oral arguments. It was an intentionally provocative project that NC WARN wanted to use as a test case for whether regulators would allow it. The church’s pastor saw the solar panels as an act of environmental justice. “Out of our faith tradition, when you fight the good fight, that itself is a (way of) winning,” said Rev. Nelson Johnson, the recently retired pastor, who is known across the state for decades of work on social and economic justice issues. NC WARN appealed, and the state Supreme Court on Friday ruled against it. The justices affirmed a lower court’s decision in the case without elaborating. According to the lower court’s 2-1 ruling, the answer is that in North Carolina only a utility company can sell electricity to end users. In this case, the utility was Duke Energy, the Charlotte-based giant that serves millions of customers in six states. 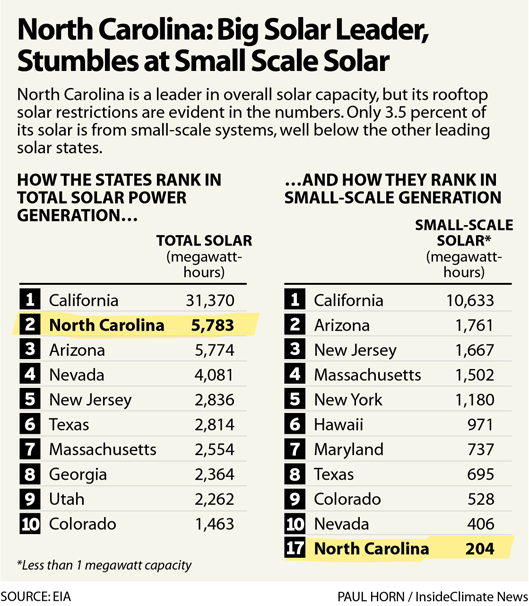 “It’s very unfortunate that Duke Energy remains able to protect its monopoly against clean competition and to keep stifling the growth of cheaper solar power across North Carolina,” Jim Warren, executive director of NC WARN, said in an email. The group’s name stands for North Carolina Waste Awareness and Reduction Network, reflecting its original mission. 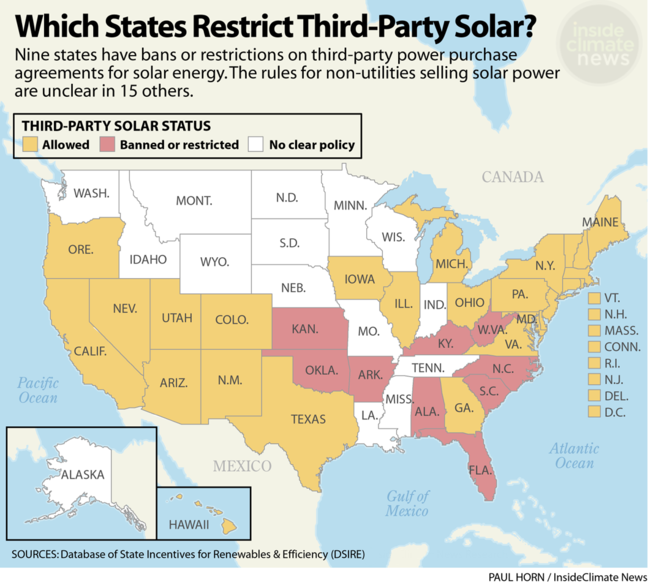 “This is really about, to some extent, consumers being able to choose their own destiny and be able to invest in clean energy and do it onsite themselves, and be able to do that in a state that has a monopoly on utility sales,” said Lauren Bowen, a staff attorney for Southern Environmental Law Center. NC WARN’s arrangement with the church is called a third-party power purchase agreement. This type of financing would likely be legal in at least parts of 26 states plus Washington, D.C., and Puerto Rico, according to DSIRE. Also, aren’t those states run by people who profess to idolize the “free” market?